Once you’ve decided to get a swimming pool, you have an endless array of options so that you get the pool that is best for you and your family. You can pick the shape, the material, extras that can be installed around the pool, and, sometimes the most important factor of all, height. If your family is ready to purchase an above ground pool, we highly recommend reviewing these pool tips. How Should You Choose The Size of Your Pool? 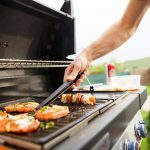 Before making a purchase, we recommend you researching your local pool ordinances and make sure the size of the pool you want aligns with your local codes and ordinances. Above-ground pools tend to come in three standard heights: 48 inches, generally used by people with families that have young children, and 52-54 inches, which is a little bit taller to allow for more swimming. What is the layout plan? Whether you plan on just having a margin along the top or you plan on having material along the bottom of your pool as well, subtract those inches so you can better imagine the height of the water and choose which height works best. Who is the pool for? The taller your pool is, the more water you have and the more fun swimming can be, especially if you or other adults are going to be the primary ones swimming in it. 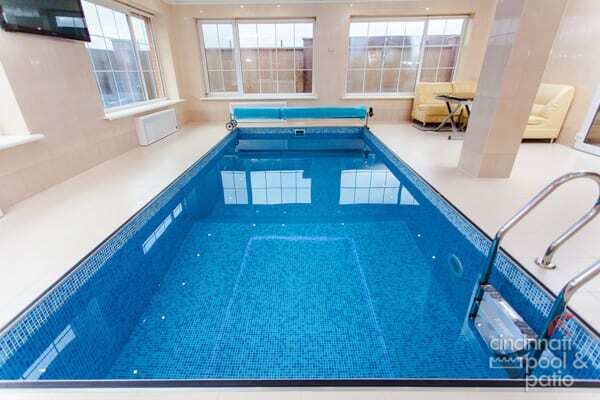 However, if you have children who are also going to be swimming then choosing a pool height, like the standard 48 inches, can be a safer choice. 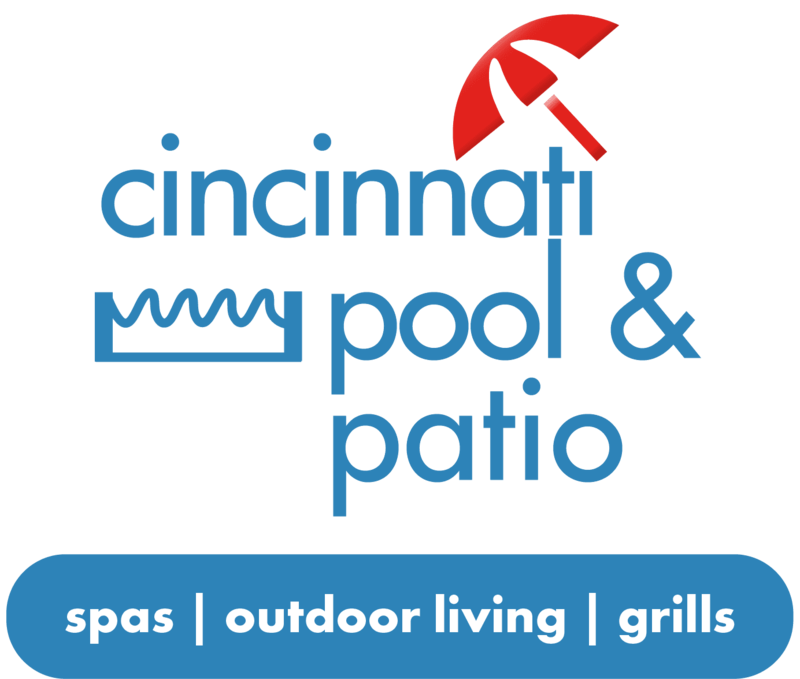 If you’d like to learn more about Cincinnati Pool and Patio’s options and installation process, please contact us here. All plants near the pool, be they shrubs, flower beds, or trees, should have nonaggressive roots that won’t suspend the edge of the pool. For most shrubs and flowers, a few inches or a couple of feet will provide enough space to mitigate root issues. Any trees that are close to the structure, though, need to have taproots instead of large, spreading root systems. A good rule of thumb is to keep the pool out of the tree’s drip line, which is the line on the ground that corresponds to the approximate circle formed by the edges of the tree’s canopy. Like in-ground pools, above ground pools can get a bit splashy as everyone inside has a lot of fun swimming around. Excess water that splashes out needs to drain away from the pool (and your house). Before installing the pool, have landscapers double-check the slope of the land in the area where you want the pool. They can regrade the land if necessary. When you’re ready to choose a pool, contact Cincinnati Pool and Patio. You’ll be able to see different pool sizes and configurations that allow you to find one that will work well in your yard. Spending some quality time in the pool is an exceptional experience and perhaps, one of the most relaxing physical exercise there is to relieve stress. But do you still have to visit a specific location to find an inground swimming pool? Well then, you do not need to go out to places in order to rejuvenate yourself anymore. You have the above ground pools to your rescue! 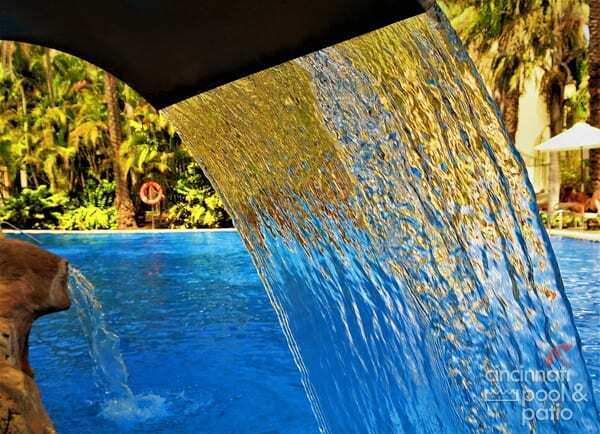 These pools are equipped with almost all the features an authentic swimming pool has to offer, in fact, more. With an above ground pool installed in your home, you are able to have fun and save money because it’s user-friendly, and requires less maintenance. 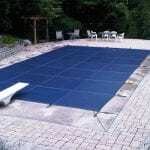 The above ground pools are smaller in size and so, you need to use fewer chemicals to keep them in a good shape. However, smaller in size doesn’t mean these swimming pools offer any less fun. 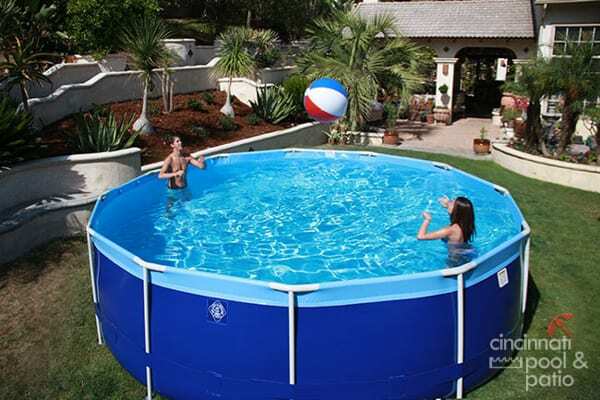 You can install it in a day at a relatively lower cost, unlike the inground swimming pools that can’t be installed without digging a large hole in the ground. 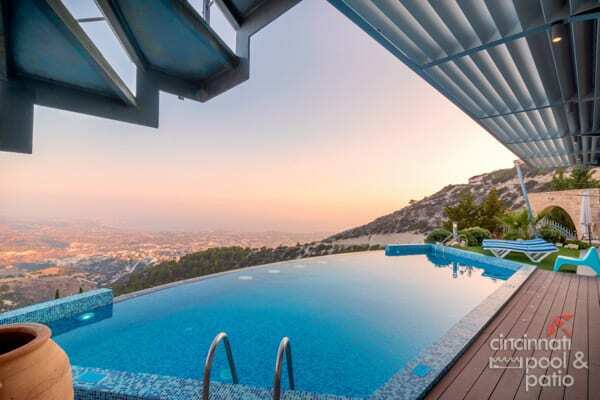 On top of it, the above ground pools are equipped with the same sanitizing power system that is used in the big swimming pools so as to keep the water inside the crystal clear and clean. Rio, Mundo, and Krystal are the highly-recommended above ground swimming pools in Cincinnati, Ohio. They feature improved stability, soil-resistance, and can prevent warping.